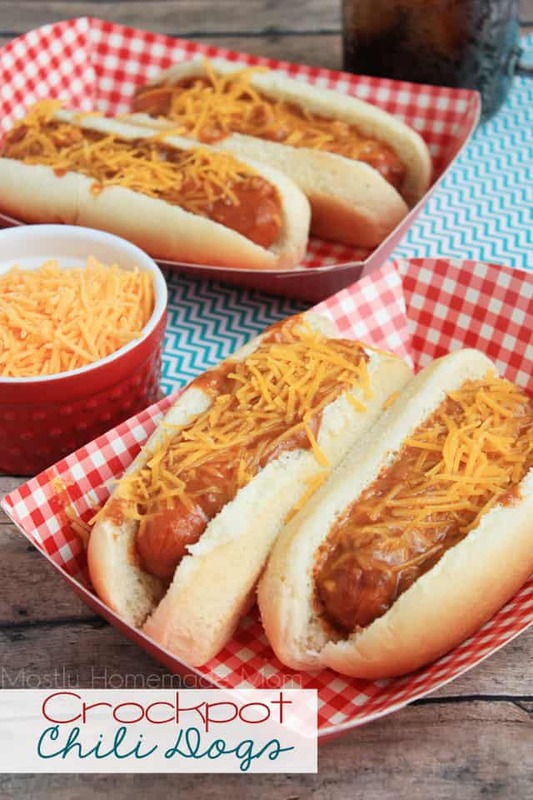 In less than 10 minutes, you’ll have saucy chili dogs simmering in the slow cooker ready when you’re family is hungry! 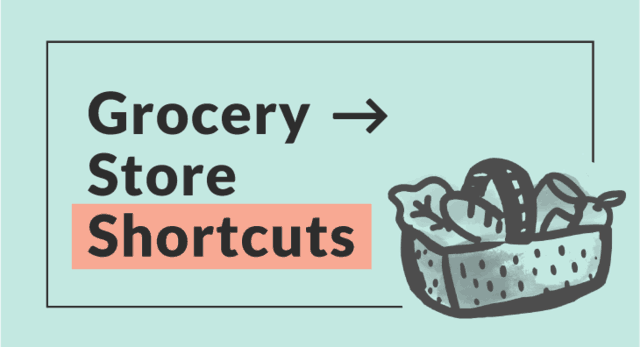 This is a great recipe for parties, too! 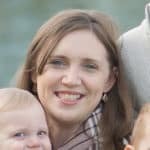 If you have kids, hot dogs are a staple in the house. The boys pretty much think it’s Christmas when I announce that they’re having hot dogs for dinner. What that really means is Mommy royally screwed up dinner that night, or Mommy had literally no plan for dinner that night. They are none the wiser, ha! Personally, my favorite way to enjoy hot dogs is on our George Foreman grill. 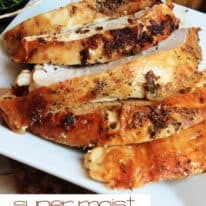 It’s really simple, cleanup is easy (I have the one where the plates are removable and you can just plop them in the dishwasher), and the flavor is WAY better than the dreaded microwave. Thankfully, the boys could care less how I make them! 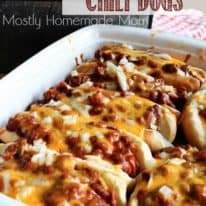 Ever since I started making those Pinterest-famous Loaded Oven Chili Dogs, we’ve been enjoying them more and more. 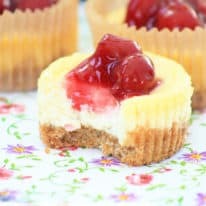 I decided to tweak the recipe a bit to cook in the Crockpot and I have to say, these turned out fabulous! 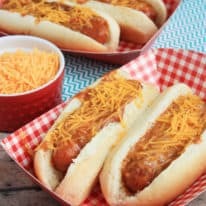 We kept the toppings on these dogs simple with just some extra shredded cheese, but you can certainly set out chopped onions, relish, and mustard if you’re having a party – I definitely would! While this recipe definitely makes enough for a crowd, I put the extra dogs into a resealable container and kept in the fridge. 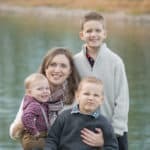 The boys loved having leftover chili dogs for lunches the following week! 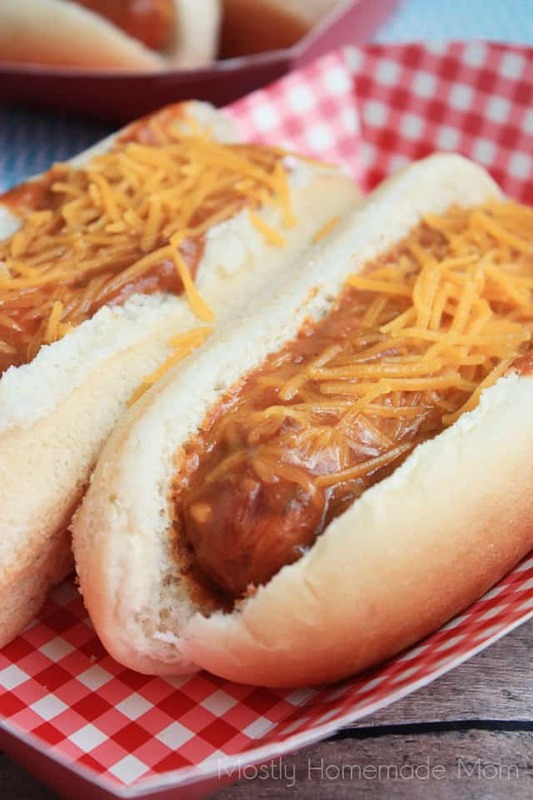 You could easily halve the recipe and only include one can of chili sauce and one pound of hot dogs for just your family – it’s totally up to you! 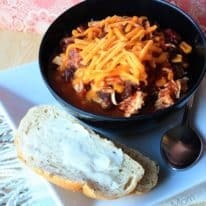 A crockpot recipe with chili, hot dogs, and cheese. 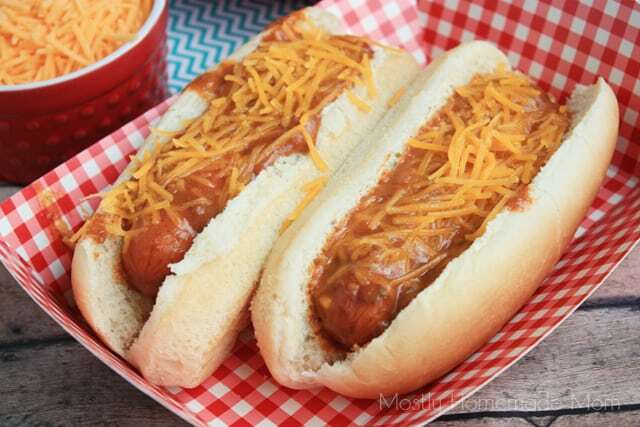 Place hot dogs in the bottom of a slow cooker. In a separate bowl, stir together chili sauce and pork & beans. Spread over hot dogs. Cook on low for two hours, then set to keep warm. 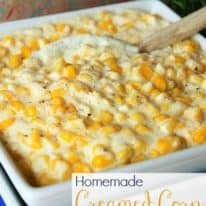 Serve with rolls and optional toppings.